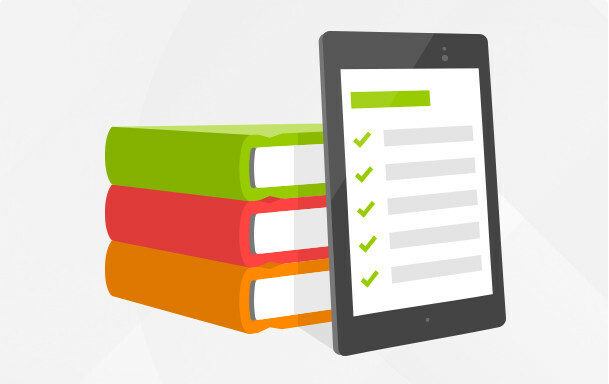 These guidelines and requirements help you develop great educational apps that offer compelling content and an intuitive user experience. You’ll also need to ensure that your apps comply with the terms of the Google Play Developer Program Policies, the Developer Distribution Agreement, and the appropriate Google Play for Education Addendum for Android or Chrome. Apps and the ads they contain must not collect personally identifiable information, other than user credentials or data required to operate and improve the app. Apps must not use student data for purposes unrelated to its educational function. Apps must have a content rating of "Everyone" or "Low Maturity" (apps with a "Medium Maturity" rating are allowed, if they have that rating solely because they allow communication between students). App content, including ads displayed by the app, must be consistent with the app's maturity rating. The app must not display any "offensive" content, as described in the Google Play Developer Program Policies and content-rating guidelines. Apps must comply with the Children’s Online Privacy Protection Act and all other applicable laws and regulations. Ads content does not exceed the maturity rating of the app. You declare the use of ads at opt-in for all Android apps. For Android apps, in-app purchase is currently not supported with Google Play for Education, so a student Android device will block any transactions. To avoid confusion, be sure to remove any in-app purchase buttons and related UI elements from your apps. We’re investigating additional purchase mechanisms to enable more flexible pricing models for developers and schools. Users can access your apps’ core functionality for a classroom setting without an in-app purchase. In-app purchases are clearly identifiable in your UI. You declare the use of in-app purchases at opt-in. For each app that you publish, you can set a single price that applies to both Google Play and Google Play for Education. You can’t set a different price for a given app (based on a single package name) in Google Play for Education. Currently, only free Chrome apps are being considered for inclusion in Google Play for Education. We are actively working to provide support for paid Chrome apps in the Google Play for Education program. Apps submitted to Google Play for Education will be evaluated by a third-party educator network, which will review them based on alignment with Common Core Standards and other educational considerations. This will help make your content more discoverable for teachers and administrators as they browse by grade level, subject, core curriculum, and other parameters. Designed for use in K-12 classrooms. Aligned with a common core standard or support common-core learning. Simple, easy to use, and intuitive for the grade levels the apps are targeting. Apps are relatively easy to navigate without teacher guidance. Not distracting or overwhelming to students. Enjoyable and interactive. Apps are engaging to students and lets them control their experience. Versatile. Apps have features that make them useful for more than one classroom function or lesson throughout the school year. Creativity — Allows students to create in order to express understanding of the learning objectives, and try new approaches, innovation, and invention to get things done. Critical thinking — Allows students to look at problems in a new way, linking learning across subjects and disciplines. Collaboration — Allows students and (if appropriate) educators to work together to reach a goal. Communication — Allows students to comprehend, critique and share thoughts, questions, ideas, and solutions. As you design and develop your apps, make sure they offer high educational value by addressing as many of these characteristics as possible. Your apps should be designed to perform well and look great across various devices, and they should offer the best user experience possible. High quality apps are engaging, intuitive, and offer compelling content. Google Play for Education will highlight high-quality apps for easy discovery in the store. Here are some general guidelines as well as some additional platform-specific guidelines. Design your app so that teachers and students can use all the capabilities of your app without having to sign in to multiple accounts and remember multiple passwords. Meet the core quality guidelines for your platform. Follow the appropriate design guidelines and best practices for Android and Chrome apps. Because Google+ branded buttons entail age restrictions, use a custom button displaying the "G" icon as opposed to the "G+" icon. Note that this deviation from Google+ branding guidelines is only applicable to developers of educational apps, and is not a general approval. Use the profile scope, which enables single sign-on for users without Google+ profiles. Use Google+ Sign-in clients as described here — GoogleAPIClient on Android, G+ iOS SDK, and the HTML button/JS flow for web apps. For Android apps, follow these platform-specific guidelines. Pay special attention to the sections on Action Bar, Navigation, and Pure Android. Test your Android apps against the Core Quality Guidelines. Review the Tablet App Quality guidelines and blog post on designing for tablets. To test your app and assess it against the guidelines in this document, it's recommended that you set up a test environment that replicates the actual environment in which students and teachers will run your app. Proxy server — Test the apps in a network environment that uses proxies. Many schools use proxies. No location services — Test the apps to make sure they work properly with location services disabled. Many schools will disable location services for student devices. No In-app Billing — Test the apps to make sure they work properly without access to In-app Billing. In-app purchases are blocked on Google Play for Education devices. No Bluetooth — Test the apps to make sure they work properly when Bluetooth is disabled. Many schools will disable Bluetooth on student devices. No access to network — Test the app to make sure it works properly when the device cannot connect to the internet. Android version (Android apps only) — Test the apps on devices running Android 4.2. Google Play for Education devices will be running Android 4.2 or higher (API level 17+). Last updated July 9, 2014.